A large percentage of Apple fans hate the notch of the iPhone X, and certainly ... the visual aspect that its design provides the terminal is not the most aesthetic that we say. However, interestingly, many Android manufacturers copied the design with the upper front frame of the front. Even without the need for Apple to incorporate the facial recognition sensors for the TrueDepth camera. 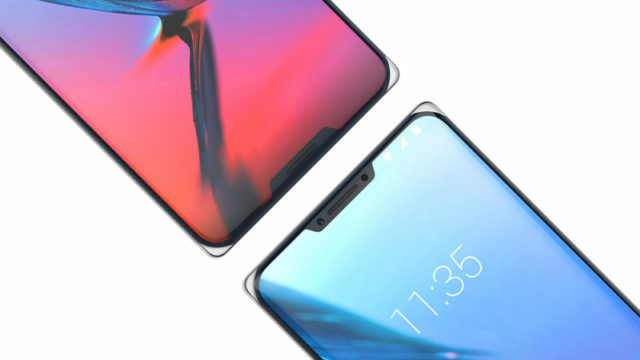 Anyway, a manufacturer of Android smartphones has wanted a step further and ... what we had yet to see ... have created the first phone with two notches . One on the top and one on the bottom of your screen. 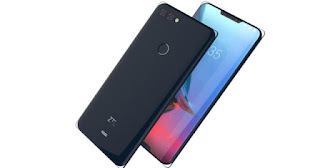 The ZTE Iceberg phone (which is probably a code name and not the smartphone nomenclature that will hit the market) uses a curious technique to merge two pieces of glass . Thus, both its front and back are made of glass, and are joined by two "notches". This way, if repairing the iPad screen (2018) was a real nightmare, repairing the screen of this extravagant ZTE phone should be hell . But this feature gives its creators the opportunity to make a phone with a nice curve at its edges. But, irremediably, when contemplating the ZTE Iceberg your eyes will go directly to your two notches. The frames ruin the beautiful aesthetics of its design , and however small they may be ... they will not stop reminding you of Apple's iPhone X. The notch on the top of the ZTE Iceberg is intended for the device's camera and probably for some other sensor. While, on the other hand, the notch on the bottom is meant to accommodate a speaker and a microphone. What do you think about the design of this smartphone? Have they gone crazy on ZTE? Would you buy a smartphone with two notches?